If you thought the Honshu War Sword was awesome, you’ll love this new addition to Honshu’s exceptional sword line! 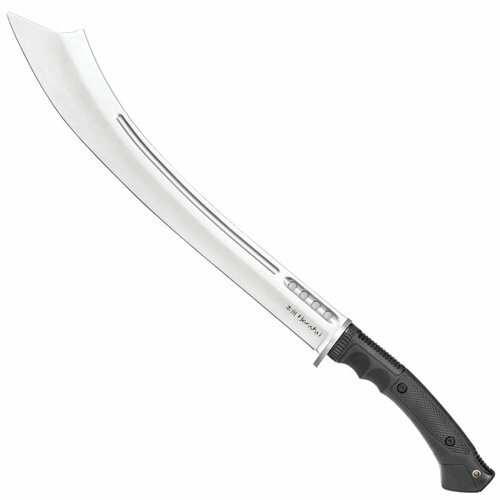 The Honshu Satin War Sword has the same sleek, modern look but features a satin finished blade. The 21 1/4" blade is forged from tough 1065 high carbon steel. The hand guard is also satin finished and the TPR injection handle affords a secure grip when wielding it. A heavy duty sheath completes the package.